Hey everyone! Happy Monday! 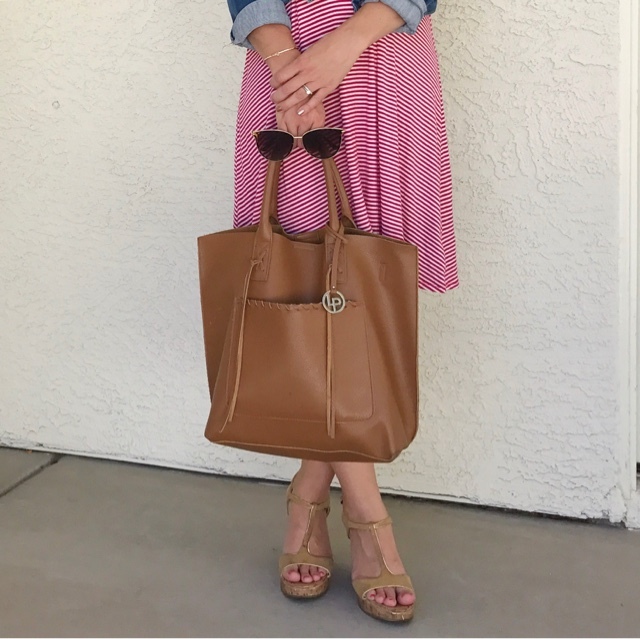 I'm going to start off my week with an outfit post. I think that by now most kids have started back to school and if they haven't then they will be starting next week. That means teachers are back to work. Now I'm a teacher, but I do work summers, because our program is year round. 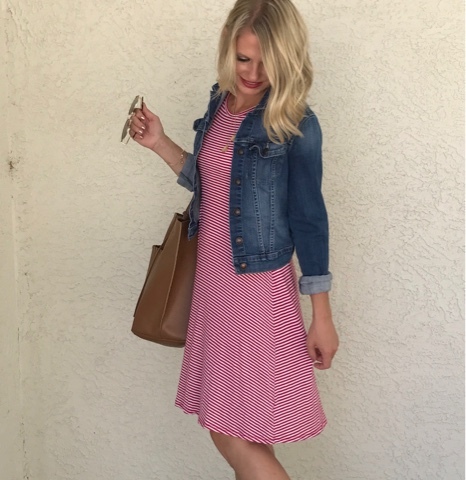 It has it's pros and cons, but now that the new school year is back in session, I'm trying to put together some new fun teacher looks to wear in the classroom. I teach PreK, so I usually have to modify my looks so that I can wear them around my little ones, but for my other fellow teachers who can get away with wearing a little cuter outfits, these looks are for you. 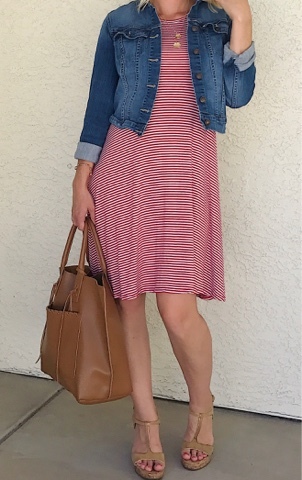 For today's look, I'm sharing this red and white striped dress that I bought at Walmart for under $8 while buying school supplies for my classroom. I think it's a perfect dress for a teacher. It has a high neckline and it falls at a perfect spot on your knee, plus with that price tag, it's okay if you get a little dirty. 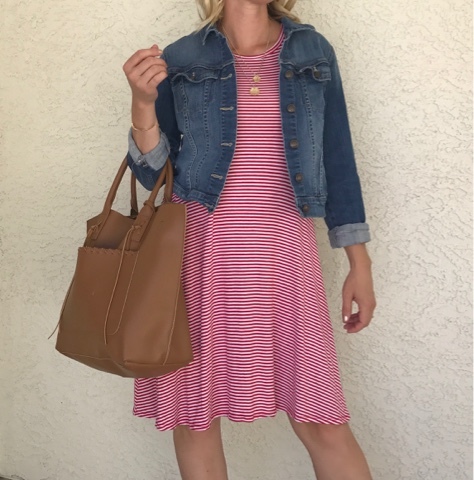 I've been wearing this dress to work with my tan slip on Roxy shoes (similar) to make it a little more casual for my classroom. *This posts contains affiliate links, which means by clicking on and/or making a purchasing through a link I will receive a small commission with no extra cost to you. Thank you for your support.